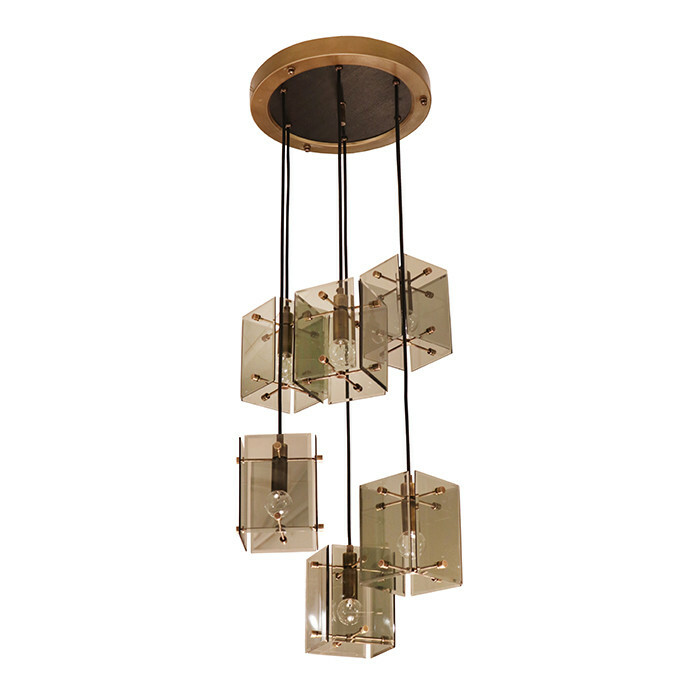 An Italian six light pendant chandelier. Smoked glass, ebonized wood and brass details. Dimensions: H:46 Canopy D: 15¼ Inches.